Friday and Saturday / 11:00am to Late - open for lunch on Friday! Open for Brunch! Saturdays and Sundays 11am-2pm. Click here for more information. 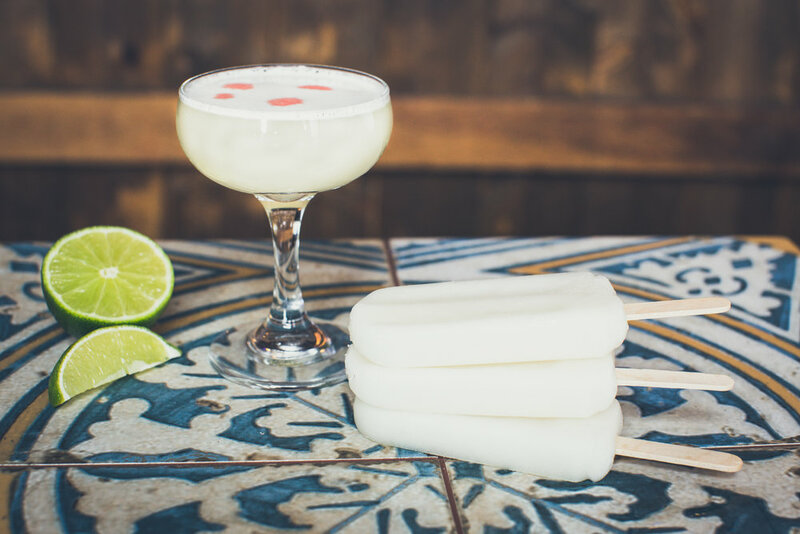 LOCATED JUST OFF WHYTE AVENUE, EL CORTEZ MEXICAN KITCHEN + TEQUILA BAR IS A CREATIVE COMBINATION OF ARRESTING DÉCOR, CULINARY ARTS, FINE TEQUILA AND CRAFT COCKTAILS. El Cortez specializes in traditional Latin food with a modern twist, tantalizing tequilas and delicious cocktails. Our thoughtfully curated menu encompasses everything from tapas, to entrees, to gourmet street food & tacos, to nuevo latino fusion dishes. We are one of only 9 establishments in the world certified by the Consejo Regulador del Tequila (The Tequila Regulatory Council). Our main floor is open 7 nights a week and caters to dinnertime and late night guests looking to enjoy great food and/or beverages. Our kitchen is open late to satisfy those late-night cravings! Also open for lunch on Friday, Saturday, and Sundays at 11:00am with brunch available on the weekends! The Tequila Cellar is open Friday and Saturday nights for late night fun with DJs keeping the energy going till the end. We also host El Comedy featuring local and touring stand up comedians on Wednesday evenings January - July and September - November. The Tequila Cellar is the perfect space to host parties up to 80; click here for more information. El Cortez was born out of the vision of artists and as such remains very invested in supporting and promoting the local arts community and Edmonton as a whole. Always open to getting involved where we can, there is frequently something new and interesting happening within our walls, or just outside of them. Photo or film shoots, record release parties, art shows, fundraisers, secret live music shows and more, El Cortez is open to being involved in a variety of creative ventures. Reach out to us! Our menu was created with an emphasis on fresh ingredients and local suppliers. Everything in the El Cortez kitchen is made in-house from the braising of the local meats, to the creation of the sauces. Only the highest quality ingredients are used. The El Cortez menu is a blend of traditional Mexican favourites, modern latin fusion and gourmet street food. Enjoy! Whether it be a flight of Tequila or one of our Craft Cocktails, our Bar Program was created to push the traditional boundaries. The El Cortez cocktail menu is a reflection of passion for agave spirits, cocktails and service. Each cocktail is unique in it's flavour profile and was chosen to be included on our cocktail menu with the same care given to the items on the food menu. Have fun with the list and try something different. You're sure to find a new favourite! El Cortez also carries a selection of beers, wines, and other spirits. El Cortez carries over 140 different tequilas and mezcals all of which are 100% agave and were selected for their unique and delicious qualities. From Blanco through to Extra Añejo, the El Cortez Agave Spirits menu offers something for all palates and budgets. Try them on their own or as a flight for an exciting tasting experience! El Cortez is honoured to hold the Distinctive 'T' Certification from the Tequila Regulatory Council. Distinctive 'T' honours resorts, hotels and restaurants dedicated to promoting the quality, culture and prestige of tequila.